I have a great big yarn crush on chainette yarns right now. I may even be a little obsessed. For years I’ve had a personal struggle with cotton yarns – I love (LOVE!) to wear cotton sweaters in the summer but I find knitting with cotton less appealing than wool. Cotton and cotton blend yarns are constructed of shorter fibers and these are tightly spun to create a strong thread. These threads can be plied together or they can be knitted to created a stronger thread. A good way to think about this would be to compare the yarn construction to fabrics. The plied yarn is similar to a woven fabric – like denim or chambray – it’s strong and wears beautifully but it has no give. A chainette construction yarn is just like a knitted i-cord. The yarn behaves like a knitted fabric. So, much like a jersey t-shirt, it stretches and gives and will usually recover its shape. The texture of fabrics knitted with chainette yarns is lighter and often softer than a traditional plied yarn, but it retains that crisp characteristic we love with cotton fibers. Berroco Karma is a great example of this. Garments knit in this yarn work up quickly at a gauge of 3 stitches to the inch. The resulting garments are wearable, like sweatshirts – they’re cozy without being too heavy or too warm. Berroco Maya is a unique yarn. The super soft pima cotton has been combed with a bit of alpaca to give it a subtle halo that adds a little warmth without obscuring the stitch definition. It’s as versatile to knit with as it is wearable. 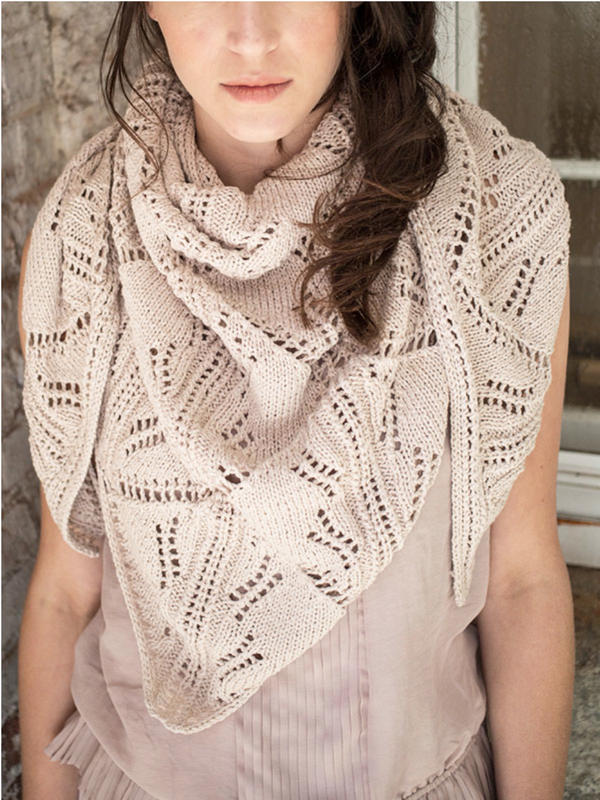 You can use it as a substitute for any project calling for 5 stitches to the inch, which makes it an especially good alternative for any patterns using Berroco Linsey or even Ultra Alpaca if you’re looking to summer-ize a wintery pattern. 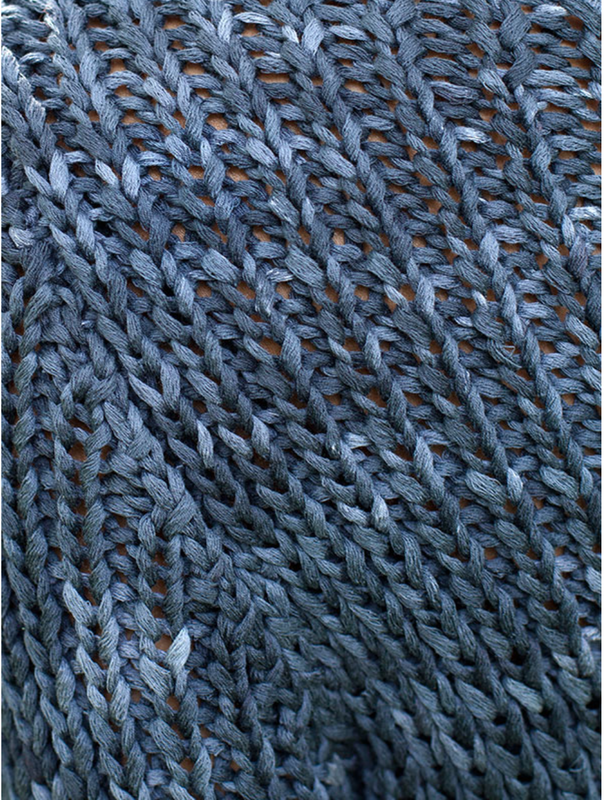 Where is the pattern for that fabulous “baby blue fringed Cowl” from your May 12, 2014 blog?